Personalize Learning: MyEngineeringLab provides students with a personalized interactive learning environment, where they can learn at their own pace and measure their progress. 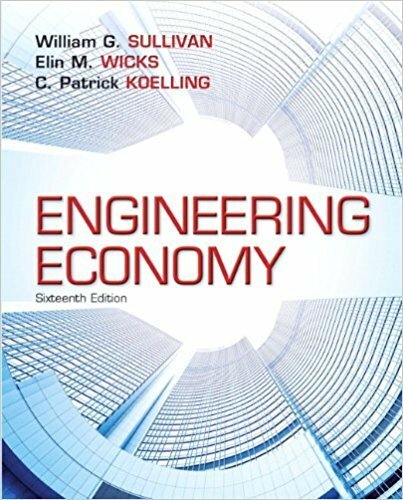 Provide a Solid Foundation in the Principles, Concepts, and Methodology of Engineering Economy: Students will learn to understand and apply economic principles to engineering. Prepare Students for Professional Practice: Students will develop proficiency with the process for making rational decisions that they are likely to encounter in professional practice. Support Learning: The TestGen testbank allows instructors to regenerate algorithmically-generated variables within each problem to offer students a virtually unlimited number of paper or online assessments. Note: You are purchasing a standalone product; MyEngineeringLab does not come packaged with this content. If you would like to purchase both the physical text and MyEngineeringLaborder ISBN-10: 0133750213/ISBN-13: 9780133750218. That package includes ISBN-10: 0133439275/ISBN-13: 9780133439274 and ISBN-10: 0133455343 /ISBN-13: 9780133455342. MyEngineeringLab is not a self-paced technology and should only be purchased when required by an instructor.